Minsk – On 16 July the second Learn.Act.Share youth summer camp kicked off near Minsk, in the very centre of Belarus, uniting 18 active young people from different regions in their desire to LEARN about the human trafficking problem and then ACT and SHARE the knowledge in their communities. The six-day summer camp offers participants interactive and informative workshops, trainings and master-classes to familiarize them with human trafficking and related issues and on how to identify signs of human trafficking and what tools to use that make a difference in combatting such crimes. The young people will end up devising their own preventive initiatives and mini-projects that they will implement throughout the coming year with expert support from IOM and several other partners from different UN and government agencies, NGOs and private companies. Moreover, they will join last year’s summer camp alumni in establishing a network of young agents in the region who contribute to the fight against modern slavery. “In my application form I specified that I’m eager to learn how I can personally contribute to the prevention of human trafficking. I’m a very active person and I believe I will share the acquired knowledge with my peers,” said Margarita Goldenkova, one of the participants, after the first very dynamic and intensive camp day. 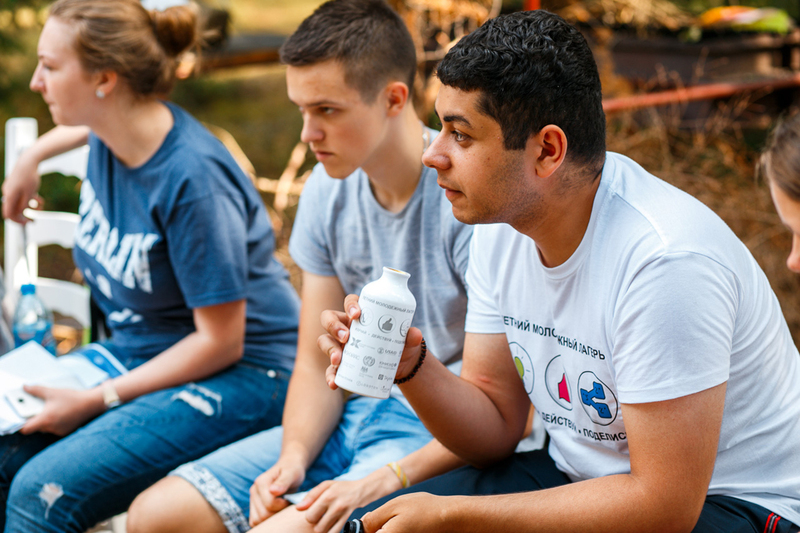 The youth summer camp is tailored to the World Day Against Trafficking in Persons, and is the part of the IOM X Belarus campaign launched together with the Ministry of the Interior of the Republic of Belarus with the support of USAID. The IOM-led initiative is supported by the Ministries of the Interior and Foreign Affairs of the Republic of Belarus, UN agencies, private companies, NGOs, crowdfunding platform Talaka, the British Embassy in Minsk, USAID, and the Norwegian Ministry of Foreign Affairs.